Since helping his father fell trees at a young age, Seamus Cassidy could not resist the bug of working with wood. But his career as a professional turner didn't start straightaway. Although brought up on a farm, Cassidy studied construction and was living a hectic city lifestyle and working in architecture. 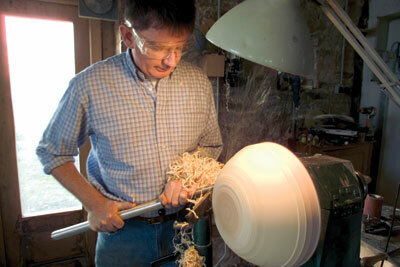 It was when he took part in a 10-week course in woodturning that he really caught the turning bug. "I remember the first day very clearly," Cassidy reflects. "The teacher showed us five lathes and handed us all a set of chisels and told us to get to work. It was very exciting! "My wife Mary then bought me a Record No. 1 lathe for Christmas and my passion for woodturning grew from there. 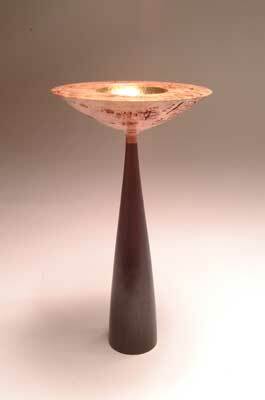 Cassidy was a keen woodturning hobbyist for 10 years and trained in cabinet making but it was in 1996 when he decided to take the plunge and become a professional woodturner. "My family moved from a busy Dublin suburb to the tranquil setting of a stone walled house near the historical site of Newgrange, one of Ireland's most visited tourist locations," he explains. "We transformed an old carthouse and cottage, which I now use as my workshop and gallery." Cassidy sells a lot of my work to passing trade and also likes to invite buyers to the workshop so they can have a look around. His work is very popular and he successfully combines classic features with contemporary influence. The shapes are strong yet elegant, with delicate detail. "It certainly helps being a skilled draftsman," Cassidy says. 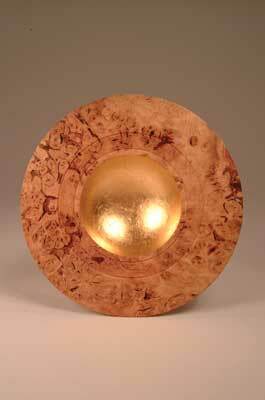 "I like to achieve a sense of balance in my work which I think helps the pieces to be aesthetically pleasing. I only have to make a few trips to a local sawmill for larger sections. "Turning timber which you have personally harvested and air dried is much more satisfying than turning commercially dried timber as I find that the case hardening has poorer working qualities. 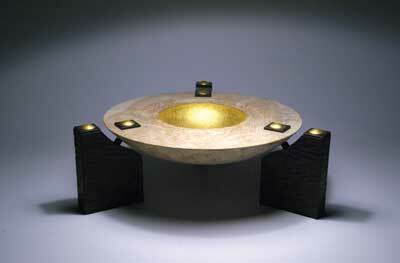 I also usually use mainly native timber for my bowls and one off pieces." Cassidy's modern take on classic forms and his attention to detail has seen his work steadily increase in popularity. 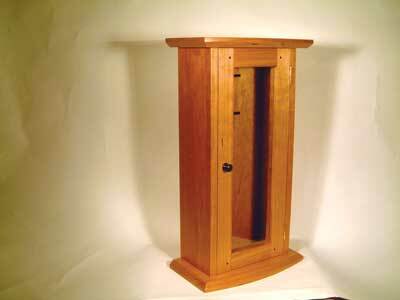 All his work has a high-quality impeccable finish and he uses Danish oil on all his work. "Around 95 per cent of my work is commissioned and some of it is spindle work which I enjoy - except when it gets repetitive," Cassidy explains. "I have many corporate customers so public relations and marketing is important and I love it when they come to the workshop to see me in action and to see how the work is produced. "Bottle stoppers bring in a steady flow of income and I produce a range of furniture to order including a variety of tables, display shelving and cabinetry. "Using commercially available kiln- dried timber is a must for this type of work and cherry and maple feature heavily in the furniture gallery." Cassidy loves to be productive and aims to continue to marry his furniture and turning work whilst constantly searching for new ideas to keep his work fresh. "I'm not sure where I get my inspiration from - it's just there," he enthuses. "Ideas pop into my head all the time so I make sure I jot them down and keep them in a safe place. I love rummaging through my all my notes and drawings because I can review all the ideas I have come up with and develop them. "It can be frustrating because sometimes I just want to carry them out straight away but one thing I do make sure of is that I keep some individuality in my work." Cassidy has exhibited his work at the Royal Dublin Society Horse Show and pieces of his work are in the collections of various heads of state including the President of Ireland Mary McAleese. But it hasn't always been easy. "It can be scary when bills come in and I don't have the security of a salaried job, Cassidy says. "But when an outstanding bill is paid, the joys and advantages of what I am doing become apparent again. I get to do what I love best, which is working with wood, and I get true satisfaction from it. 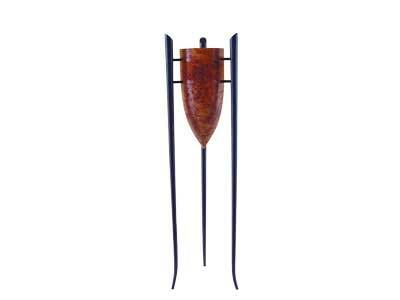 I have also seen healthy and sustainable growth in the sales of my work which is reassuring." In addition to running his gallery and his dedication to his craft, the North East Chapter uses Cassidy's workshop for their meetings. "I like the social aspect of it," Cassidy says. "It is also a great way to exchange ideas and share views." Cassidy finds working with wood time-consuming and all-embracing. He tends not to use other material as it means dedicating time to learn how to use them which he can't afford. He likes to do everything himself without relying on specialists. "I don't have any other hobbies because woodturning is my hobby and it leaves no time for anything else," he says. Cassidy has achieved an impeccable sense of individuality to his work, which screams quality, balance and successful experimentation. 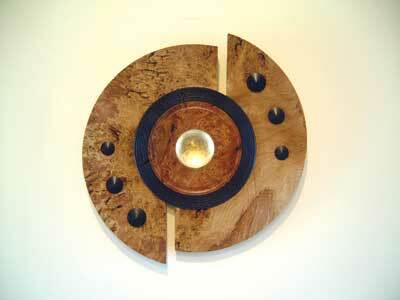 "I am a woodturner at heart," he says. 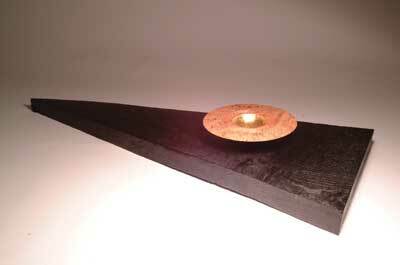 "I am just as fascinated by wood today as I was when I started. There are no limits to what you can do on the lathe - it's only each person's imagination that presents limitation. "My advice to any other turner is to never give up and to follow your dream. I sure am glad I did." "Turning timber which you have personally harvested and air dried is much more satisfying than turning commercially dried timber"
- Making jigs for drilling and steam bending etc.